Oh la la, I said husband! So Joe and I had a crazy food night making spicy quesadillas and Hi-C margaritas! I say crazy because of the copious amounts of jalapenos that went into making them 😉 Give these a try for a fun date night or dinner with friends . . . oh oh have a game night! The Hi-C margarita was sweet but not too sweet, slushy but not too slushy, and just the perfect amount of ice crunch! 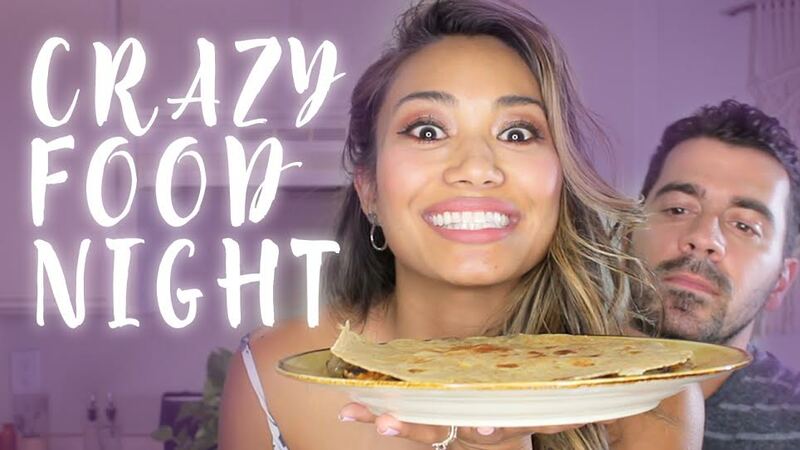 Please Subscribe to my channel if you haven’t, I love creating these food/ beverage nights with you! What themed night would you like to see next? Girls night? Sleepover? Movie night?